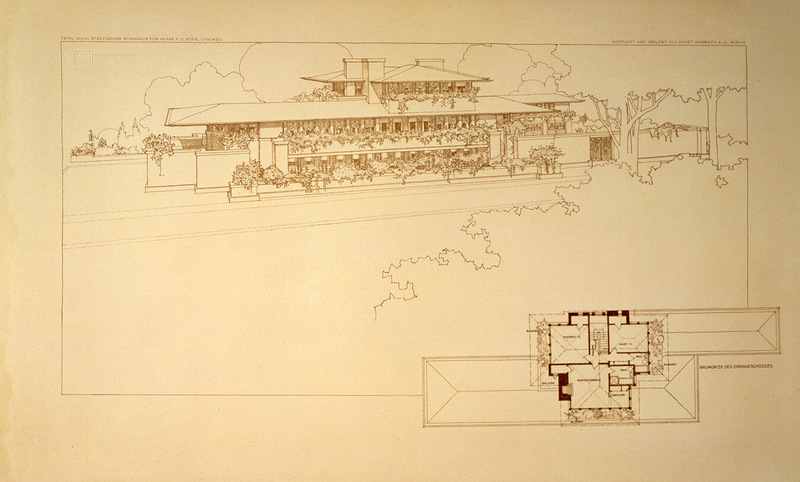 In the fall of 1909, with construction underway on the Robie House, Wright left America for Europe to work on the publication of a substantial monograph of the buildings and projects designed during his Chicago years. The result was the Wasmuth Portfolio of 1911, which introduced Wright’s work to Europe and influenced a generation of international architects. Published under the title, Ausgeführte Bauten und Entwürfe von Frank Lloyd Wright, the project was a significant undertaking, comprising 100 loose plates printed by direct lithography on various paper types of several colors and presented in two portfolios. Approximately half of the iconic images of Wright’s projects featured in the Wasmuth portfolio, were traced from renderings by the gifted artist and draftsman, Marion Mahony, who joined Wright’s practice in 1895. 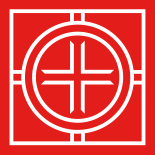 As Wright worked to create a new American architecture, Mahony developed a unique graphic style that would come to define and publicize Wright’s Prairie style nationally and internationally. Blending traditional architectural rendering practices with Japanese graphic art, Mahony captured the romantic spirit of Wright’s architecture.